Bracelet/Bangles: Newborn baby bracelets and bangles are widely available in different designs. Gold bracelets are also quite popular and are traditionally given to the little ones by their grandparents or uncles and aunts. 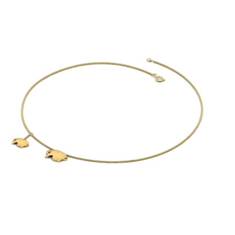 When buying gold bracelets or Bangles ensure it's one that expands with growth (to save manual adjustment) and that it's lightweight and flexible as opposed to the heavier styles available for children. Comfort is a priority for babies! Photo credit: CaratLane, featuring Twee Ariela Bracelet. 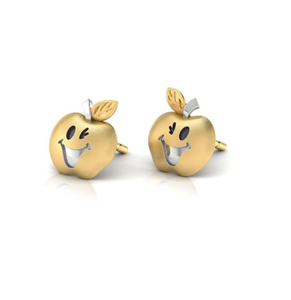 Earrings: The petite, shiny earrings are ideal for babies and young children. Also, earrings are considered a great gifting idea for kids. Many designs are available on online brands like CaratLane. They also have Easy payment schemes on 0% interest, which makes buying jewellery very affordable. 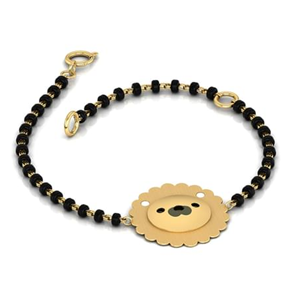 Necklace and chain: A thin non-fancy chain can be a great gifting idea for newborns. It is always a good idea to buy an age appropriate necklace like a cute little bunny and a tiny butterfly and not pieces that have too much of craftsmanship. For instance, CaratLane have 30 days return policy. So, in-case you do not like the piece you have ordered you can always exchange. 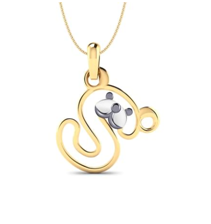 Pendant: Pendants with the baby’s initials are a great gifting idea. CaratLane.com offers pendants with initials. Also, pendants can be used by the little ones even after they grow older. Hence it is a timeless piece. Photo Credit: CaratLane, featuring Teddy Alphabet S pendant. Many who wish to buy other designs can choose from the wide variety available on leading portals like CaratLane.com. Apart from this, one can also create personalized pendants with messages for the child. Photo Credit: CaratLane, featuring Flower bunch cutout pendant. In the crowd of gifts for any occasion, it’s hard to make yours stand out. But you must ensure the gift you give should be the special one and the lucky recipient remembers your token of love long after the parties are over and the decorations are packed away. Diamond earrings, bracelets or pendants are great gifting options that stay with the baby for a lifetime. Gold jewelry is also a great investment. Buying gold coins for the kids is also a thoughtful act and can be redeemed in future for the baby’s education. Jewelery a great keep sake and stays with the child forever. It is a sweet reminder of his childhood and the celebrations that marked it. 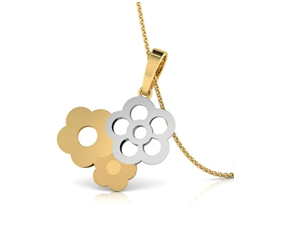 CaratLane not just offer a wide range of designs but also make jewellery purchase affordable. So, picking up a gift for the newborn from an amazing collection at CaratLane is truly a wise idea.